Entertaining will enrich your life and bring you closer to your friends, family and even strangers. Everyone has a food story worth sharing so take the time to find out! When dining out always order two dishes. The one you find most appetizing and the one that is most unappetizing. The unusual items are often the tastiest. 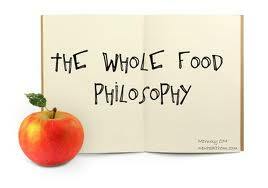 Now I challenge you, what's your food philosophy?